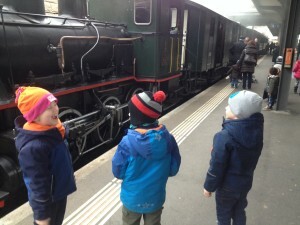 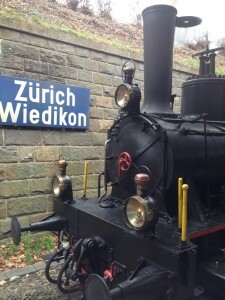 Steam Train, Samichlaus & THREE Schmutzlis! 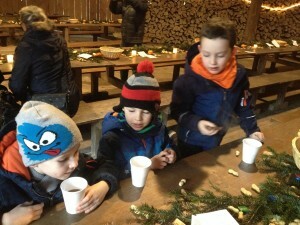 - Time for a nice cup of tea? 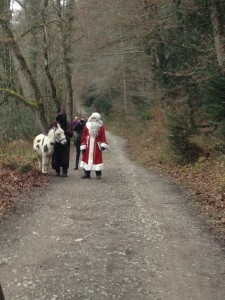 Steam Train, Samichlaus & THREE Schmutzlis! 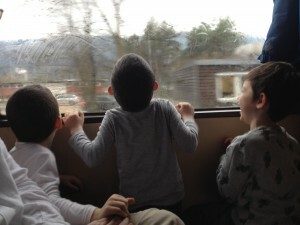 We piled into the train with Konstantin (Patrick's friend from Kinderkrippe) and Mum Bernadette. 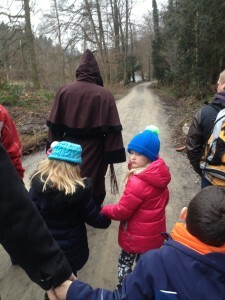 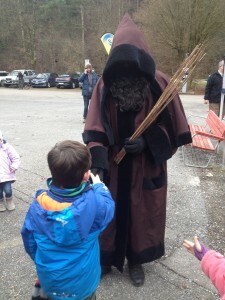 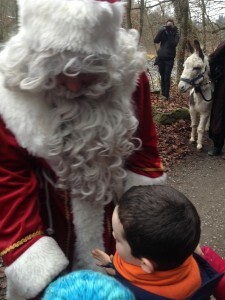 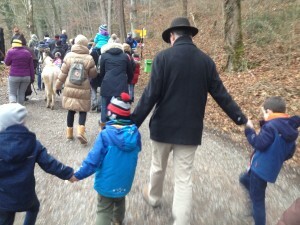 e were greeted by 3 Schmutzli who led us through the forest walk to Santa Claus and Donkey! 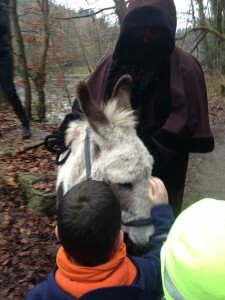 Followed by cold barn, singing songs, talking to Samichlaus, then sacks of sweets and nuts before a quick run around in the playground! 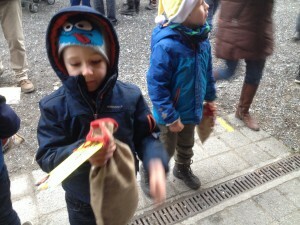 This weekend was busy - in the morning, the boys and I went to the Credit Suisse kids party at the cinema in Sihlcity. 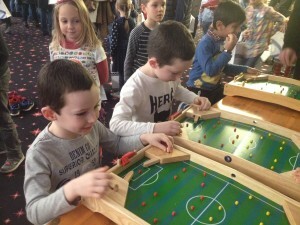 Lots of games, crafts, snacks and then a film - perfect!